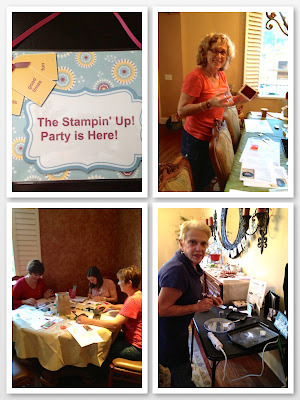 Here are some pictures from the Stampin' Up! Holiday party I had today. I had so much fun creating the decorations and party favors. 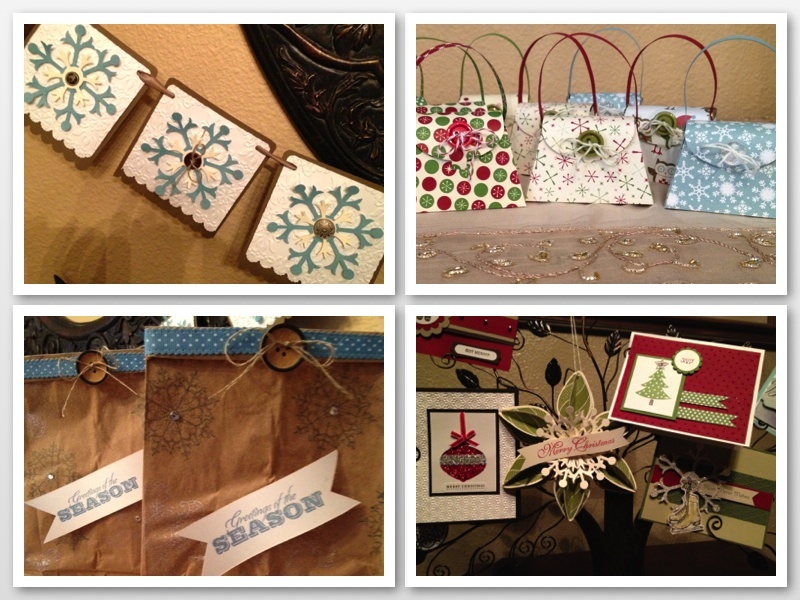 I got a little carried away and even decorated the trash bags but I think they're real cute!